Posted June 17th at 10:00am. 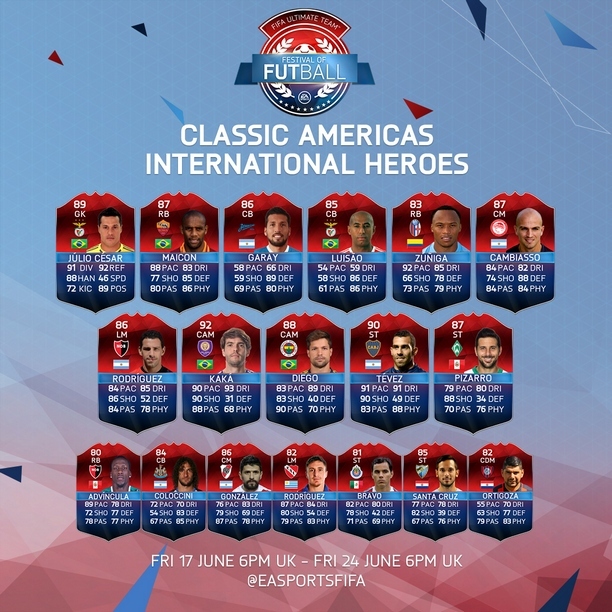 We’re proud to announce the first of two themed Classic International Hero Teams during Festival of FUTball available exclusively for FIFA Ultimate TeamTM in FIFA 16. For this week only, we’re bringing back some of the most celebrated and highly sought after active players from the Americas who had significant impacts for their countries in past international tournaments. From record appearances to scoring the match-winner of a major tournament Final, these players left a memorable mark on the world of football. With ratings that reflect their past international performances, find these items in FUT for a limited time. Stay in the conversation on all things FIFA by liking us on Facebook and following us on Twitter. Sign-up to receive emails about EA SPORTS FIFA and EA products, news, events and promotions. See who made the European Team of the Tournament (TOTT) in FIFA Ultimate Team (FUT). Celebrating past international performers from Europe, find these Classic International Heroes in FIFA Ultimate Team (FUT). 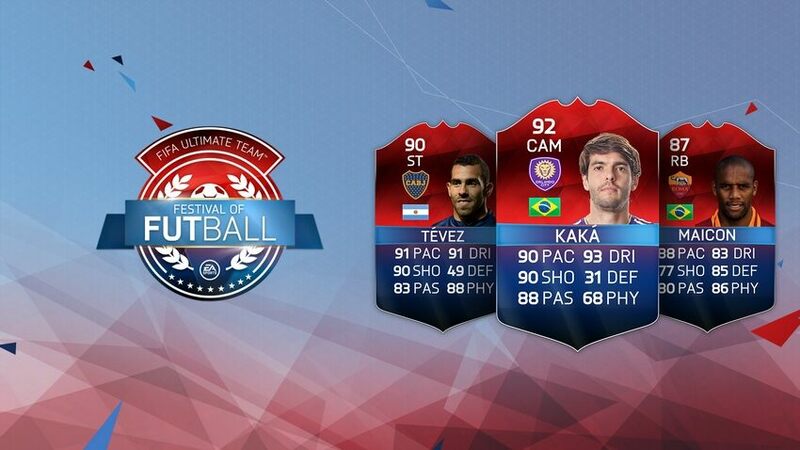 See who made the Americas Team of the Tournament (TOTT) in FIFA Ultimate Team (FUT). Take part in the MLS More than a Vote FUT Tournament for your chance to attend this July's 2016 MLS All-Star game in San Jose, California. From June 10, take part in our Festival of FUTball, available exclusively in FUT 16 on Xbox One, PS4, PC, Xbox 360, and PS3.